Camargo Foundation offers the Camargo Core Program for scholars, thinkers and artists from all disciplines, and all countries and nationalities of the world. The Camargo Core Program offers time and space in a contemplative environment to think, create, and connect. By supporting groundbreaking research and experimentation, it contributes to the visionary work of artists, scholars and thinkers in the Arts and Humanities. By encouraging multidisciplinary and interdisciplinary approaches, it intends to foster connections between research and creation. 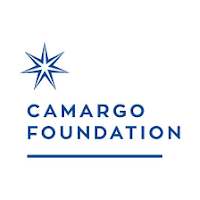 The Camargo Core Program is the historical and flagship program of the Foundation. Each year an international call is launched through which 18 fellows (9 artists and 9 scholars/thinkers) are selected. 1). Scholars – Scholars should be connected to the Arts and Humanities working on French and Francophone cultures, or cross-cultural studies that engage the cultures and influences of the Mediterranean region. To be eligible for a fellowship in the “Scholars” category, applicants are expected either to hold a PhD and a record of post-doctoral scholarship, or to be PhD candidates completing the final stages of research for, or writing of, their dissertation. 2). Thinkers – Thinkers include accomplished professionals and practitioners in cultural and creative fields (such as curators, journalists, critics, urban planners, independent scholars, etc.) who are professionally engaged in critical thought. We are interested in work attuned to the theoretical “arena”, the arts, and society. 3). Artists (all disciplines) – Artists, in all disciplines, should be the primary creators of a new work/project and should have achieved a track record of publications/performances/exhibitions, credits, awards and/or grants. We are interested in artists who have a fully developed, mature artistic voice. Applicants may include artists who are engaged in critical thought and research-oriented projects. When applying, artists will have to choose among the following subcategories: Visual Artists / Choreographers and Performance Artists / Writers and Playwrights / Film, Video and Digital Artists / Composers and Sound Artists / Multidisciplinary Artists. 1). Collaborative Projects – Teams of up to three persons are also welcome, including but not limited to multidisciplinary collaborative projects. 2). Translation Projects – Professional translators are eligible to apply. 3). Former Fellows – First-time applicants are normally given preference over previous Camargo Fellows. Exchange & Network: during the residency, discussions are held regularly so that each Fellow has the opportunity to present the project or area of inquiry to the group. Spouses/adult partners and dependent minor children are welcome to accompany fellows for short stays or for the duration of the residency. It is important to read through the guidelines of the Camargo Core Program 2019-2020, and also to visit the official website (link to it is below) for complete information. To start your application, click here. The Camargo Foundation, located in Cassis, France, and founded by artist and philanthropist Jerome Hill, is a residential center offering programming in the Arts and Humanities. It offers time and space in a contemplative environment to think, create, and connect. The Foundation encourages the visionary work of artists, scholars, and thinkers in the Arts and Humanities.